The full range of levelling tables provides the simple solution of convenient packaging of products in industries such as warehousing, transport, distribution centres etc. Electronic Screen with Soft Touch Control. Automatic Photocell Load Height Detection. Top and Bottom Wrap Number Programs. Inverter for Soft Start and Stop. Turntable Stops in Starting Position. Adjustable Spring Brake Tension System. 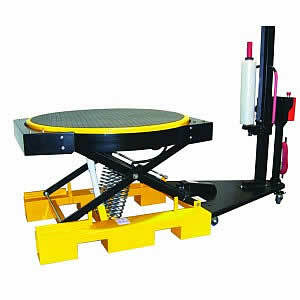 Ramp for Pallet Truck Access. Excellent Value for Small to Medium Sized Operations. 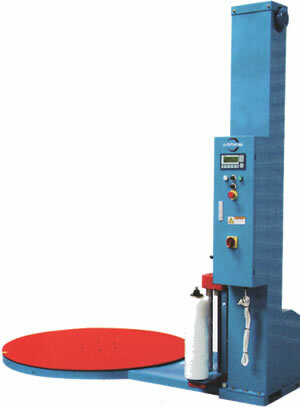 Turntable Diameter: 1800mm & 2200mm.